While cancers in children are only about 1 percent of the total number of cancers diagnosed each year, according to the American Cancer Society , it can seem particularly devastating when a young person is faced with that diagnosis. In 2018, 10,590 children under 15 were expected to be diagnosed with cancer, and about 1,180 children were expected to die from it. But the outlook is far better now than it was in the 1970s, when the five-year survival rate was just under 60 percent. Now, more than 80 percent of children with cancer survive five years or more, the ACS says. Specialized care is required for children dealing with cancer. Treatments are similar to what adults receive, but they do have particular needs that will be different, and it’s important for them to be followed by specialists who are trained to take care of these needs. Common treatments include “surgery, chemotherapy, radiation therapy, immunotherapy and stem cell transplant,” according to the National Cancer Institute . Doctors use personalized combinations of available treatments to best help each patient. 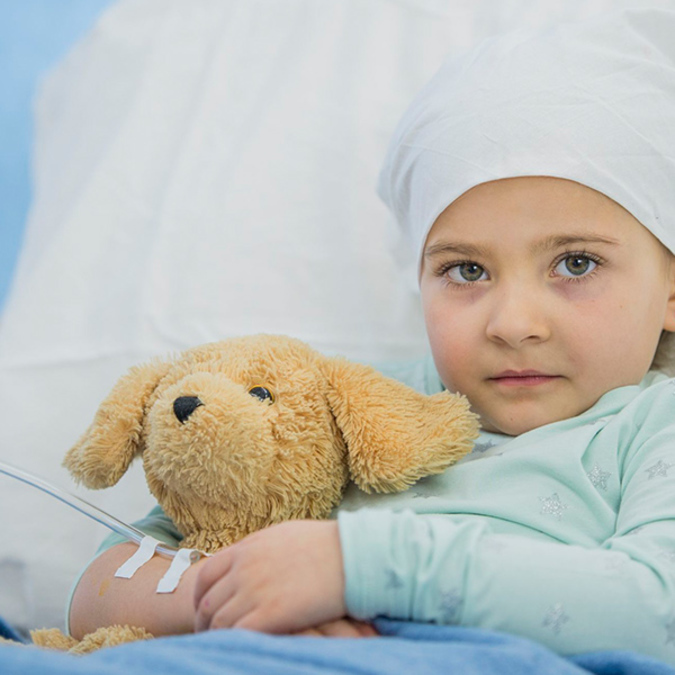 Chemotherapy is a typical treatment for many childhood cancers because they often tend to be the types of cancers that grow quickly, the ACS says. Fast-growing cancers are the kinds that most forms of chemotherapy affect. While chemotherapy is a good option for most children with cancer, that’s not always the case with standard radiation. It can cause more serious side effects, the ACS says, especially in very young children. Proton therapy can be used to treat many types of cancers in children and is desirable because it can reduce or eliminate side effects that may be seen more often in traditional radiation, Beaumont Health says. Since children’s bodies are still growing, they can be more sensitive to the damaging effects radiation can have. These techniques allow precise control over the radiation delivery to the tumor site, avoiding nearby healthy structures and sparing the tissue around the tumor. Since children diagnosed with cancer do have different needs from adults who have cancer, Beaumont Health has a team of experts who are trained in treating the needs of children, from pediatric-trained radiation oncologists and medical oncologists to pediatric anesthesia specialists, oncology nurses and even dietitians and physical therapy experts. Beaumont Health’s team approach offers support services that limit the disruptions a cancer diagnosis can cause and ease the patient’s transition once the treatment is complete. Contact Beaumont Proton Therapy Center if your family faces this life-altering diagnosis and get the specialized care and support you need.